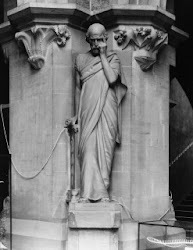 Channeling Hippocrates: The World Became a "Yes"
When I was in medical school, I bought myself several pairs of pants at the Gap. Because I despise shopping, I found a style I liked, and purchased four identical pairs in different colors, thinking my surgery residency interview wardrobe was now complete. At $48 a pop, not on sale, this was an expensive investment. But, I needed to start looking like a doctor, instead of a hippie-freak, and as much as I hated dressing up, my wardrobe of ratty jeans, Birkenstocks, and rock T shirts was sorely in need of an overhaul. Interviewing for residency is a complicated business. It's not enough to be smart, you also have to look and act it, projecting professionalism, personality, and poise under pressure. Because of the way residency matching works, you really have to sell yourself, especially if you're a woman in your mid-30s, with a state college nursing background that's accompanied by a startling absence of peer-reviewed publications, research experience, or fancy credentials, who happens to be vying with brilliant scholars nearly half your age for a coveted general surgery spot at Vanderbilt or Emory University. Here's how "the match" works. You rank each program where you've interviewed, the programs rank you, and when the numbers are crunched across the nation the third Thursday in March, you'll land a spot based on how those two variables match up. Needless to say, the likelihood of being disappointed is extremely high. It doesn't matter who you are or how much influence you think you might have, there's just no manipulating the system. To make matters worse, not everyone will match. This unfortunate circumstance necessitates a day of its own, known as Scramble Day, in which unmatched candidates hustle for vacant residency spots. Even though I'd tried the pants on when I was at the Gap, once I got them home, they just didn't fit. They were all too big. I tried cinching them at the waist with a belt, which accomplished little more than bunching them up in a most unflattering way, exposing me to the grave threat of camel-toe. I even tried washing one pair to see if they'd shrink, but that didn't work, either. My attempts at reconciling this Apparel 911 left me with four pairs of pants that didn't fit, one of which now sported a tiny bleach spot. Deeming the pants unwearable, I folded them up and put them back into the bag with the receipt. They sat in the guest room closet for close to two months until I casually mentioned my ill-fated purchase to Rana, my shopping-savvy friend and fellow medical student. She scrutinized me in utter disbelief before exclaiming, "How is it possible that you've made it all the way through medical school, and you can't return a freakin' pair of pants to the Gap?!" It certainly was embarrassing. For some reason, I'd always had a hang up about returning items to the store. Luckily, I don't like to shop. It sounds ridiculous, but I equated approaching a customer service representative to inquire about a refund or an exchange with standing before a firing squad--I'd be at someone else's mercy, risking humiliation, rejection, and bodily harm, most notably to my Achilles' heel, a disabling self-consciousness engendered by my fragile, fragmented ego. What if they said, "No"? Recognizing that I had a serious mismatching of assertiveness in the intellectual and common sense departments, Rana informed me that, on Saturday, I was going to march myself into the Gap to return those pants, and that she was coming with me. At ten o'clock that Saturday morning, Rana whisked me off to the mall. On the way there, we practiced the entire scenario: walking confidently into the store with the ill-fitting pants, assuredly summoning the customer service person, and successfully completing the return transaction. She made it sound so easy. Moments after we entered the Gap, headed straight for the service counter, I froze. I couldn't do it. The dread involved in returning those pants was just too overwhelming. I stood there, motionless, a future surgeon afraid of my own shadow. "Give me your credit card and come with me," Rana instructed. To the woman behind the counter, she simply said, "I need to return these pants. They are unsatisfactory. Here's the receipt." Within seconds, and with no questions asked, the pants were returned and my credit card, refunded. Rana was graceful about the whole fiasco. "Being assertive isn't about being aggressive or bitchy; it's about getting your needs met." That was twelve years ago. Since then, in addition to returning items that don't fit, I've arbitrated my divorce, negotiated contracts and warranty extensions, confronted unprofessionally-behaving colleagues, and begun addressing obstacles to communication within my family. I've found a suitable exchange, trading my ego for a voice that's confident, consistent, and congruent, one that enables me to be my own best advocate. The inner me finally matches the outer me. Although I still fall off the wagon from time to time, taking things too personally or letting people get under my skin, I'm aware of it now and can jump right back on. Speaking up for myself actually permits me to listen more receptively to others. I readily acknowledge that the world would be a boring place if I was right about everything, a self-deprecating quality that prevents me from taking myself too seriously. I also embrace the philosophy that opinions are like dirtbuttons...everybody's got one. I don't take anyone very seriously. Life itself is serious, but it's way too short to waste, fearing the unknown. Here's what I've learned about life so far: when I quit being afraid of "no," the world became a "yes." Our medical school graduation. From left to right, I'm on the end of the 2nd row. Rana is on the 3rd row, third from left. I love that something so small as advice on returning something from a friend translated into such a profound life lesson. What's more, not only do your pants fit these days, but your style includes just the right amount of rockin' badass-ed-ness with classy doctor flare :) Very cool post. Aw, thanks, Emily! I still had a lot of growing up to do in my 30s. Better late than never, right? My friends have taught me so many wonderful things about life and living, and I'm happy to count you among them! Great story and returns aren't always so pleasant so I totally understand you postponing it or trying to forget about doing it. Thanks, Angie! I still shudder at returning items, but I've done it so many times now, it's no big whoop. I haven't looked at that pic in years...it was fun trying to place all those faces with names. Ha ha! It really is the little things in life that can make a major impact. I'm glad Rana made you face your fear. Rana has been featured in several of my posts; she's definitely been a pivotal figure in my life, as well as a terrific friend. It's funny, some things I'm fearless about, others, totally intimidated. And I have a bad habit of staying within my comfort zone. There's a lot I can learn from you! I've said it before, and I'll say it again, June...you and I are SO much alike. Here's to life both inside and outside our comfort zones. It's amazing how someone can come across with such confidence but inside they can be feeling so fearful. Your post is a brilliant example of how we can get our point across in a clear firm manner without having to act like a nutter whilst destroying our own credibility. I've realised in life a long time ago that you get listened to much more, and are taken more seriously when you behave in a particular way, rather than 'going off your head'. After reading this post, I've thought about areas in my life that needs 'fear' kicking out. I better get working on it. Great post. RPD, in matters of negotiation, I've learned that less is more, e.g. state your position and your wishes clearly, and leave emotions out of it. It keeps transactions and discussions from becoming personal. I'm glad you liked the post and that you found inspiration in it. Just realises your blog anniversary, so a very big CONGRATULATIONS. You have given me a good interesting read along the way, so keep up the good work Helena. Thank you for sharing your experiences for this past year in such an interesting, introspective manner. I'll bet that Hippocrates would be very proud! Its always the small things that test our confidence, but once we get that confidence, its hard to stop the ball from rolling on. I love how you put that, Dan. Gives new perspective to the saying, "Don't sweat the small stuff in life." Great post, Kris. Knowing you as the person you are today, it's hard to imagine you as the person you were then. But I guess that's true of all of us. We're always evolving into something strange and new. Fear is the great enemy: fear of ridicule, fear of rejection, fear of the known, fear of the unknown. Courage is everything in life. Thanks, Marty. In some aspects of life I've been precocious, in others, a late bloomer, sort of Koyaanisqatsi personified. I appreciate balance and levity, and I agree with you about courage being everything in life. You have some of life's lessons well placed and have balanced it all to become who you are inside and out. Not very many people I know can say that. It takes great courage not to fear rejection, I think you have a great handle on it. Great post Kris! I'm getting there, IM. It's been a slow, but worthwhile, process. after reading your post,i realized we could go shopping together:-) because i am just like you, don't like shopping, so buy everything i need at once! just a while ago, i bought 5 casual pants (the one i could ware at home comfortably)! believe me, just like you, i had huge obstacle to ask help, to be "selfish". i felt embarrassed to ask my landlord to let me stay longer in apt when i had tremendous back pain, which made it impossible for me to sit in car to drive. i had a friend me to drive for me when i moved from north to south, while i had to put car seat down so i could lie down! had i asked my landlord, i could simply staying longer until i was recovered! this happened about 10 years ago. "speaking up for myself" was not what i learned when i grew up. but i learned now. and i realized, if i don't speak for myself, no one would. Good for Rana. Now that’s a good friend! I like her technique and it’s basically the same way I handle returns. My husband has the same reaction that you used to have to making returns, so it’s basically up to me to do all of them. I like the way you phrased the wonderful life lesson you learned from Rana’s example, trading ego for a confident voice. I can do returns without problem but I do tend to take other things personally so I loved your line “opinions are like dirtbuttons...everybody’s got one.” That’s what I’ll tell myself when I start taking anyone else too seriously. 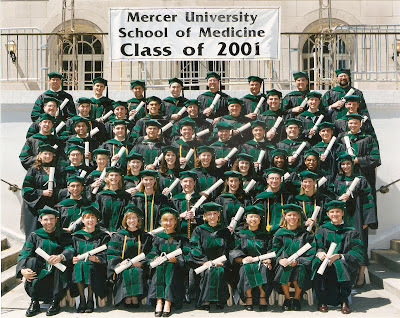 Congrats on being the first person from any medical school accepted to Emory back then. Even though you later switched to anesthesiology, it was a huge achievement. Great photo. Loved your post! Yes! I hate shopping and used to give away things to avoid facing the "return" situation....lol. My friend Marjorie was my Rana and forced me into it. I think it's great that you extrapolated that confidence into other areas. Congrats on the first match and the second. Great post. I found you browsing through blog catalog. I love this. I've learned this lesson much the same way you have, through trial and error. And by learning through the example of confident friends. Great photo, great story. I used to dread returning things until I bought watermelon that tasted like toes. It was the first time I returned something. Afterwards, I wondered why I had been so fearful before.